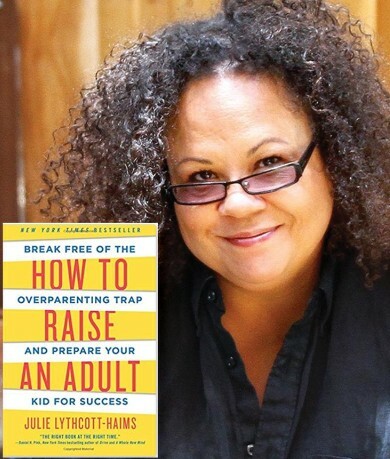 Attending Julie Lythcott-Haims' lecture at CSG and reading her book How to Raise an Adult: Break Free of the Overparenting Trap and Prepare Your Kid for Success was a watershed moment for me as a parent. I am a CSG alumna ('95) and mom to Colin (8) and Fiona (5 – CSG 2031). While much of what she says was a tough mirror to hold up to my own parenting, her messages resonated with me (and the many friends I have discussed it with) and it seems many parents also feel exhausted and anxious and are longing to hear her message (or perhaps permission) to step back, relax and enjoy it all more. 1. Parents are unwittingly causing psychological harm. Lythcott-Haims first observed this behavior as Dean of Freshman at Stanford where parents each year became more figuratively and physically present on college campus and more and more involved. At the same time she saw students more accomplished on paper but less in touch with who they are/ their passions, less capable of independent thought and deprived of self-efficacy. She also points to the concerning rising rates of anxiety and depression in the young today. 2. Parents are parenting from a place of fear. Parenting has and will always come from a place of love, but in the last 10-20 years immense fear has been added. Fear of stranger abduction (while there is statistically a less than 1 in a million chance), fear of our kids failing or getting hurt (and therefore solving for them and not letting them experience the ouch) and fear they won't succeed (and the over-connect of that to parents' own egos). Parents should prepare kids FOR life, not protect them FROM life. 3. Parents are very overinvolved. Looking back at my own childhood in the 80s I remember abounding freedoms and extended unstructured play with friends, no parents in sight. In fact, if a parent did come by we would stop what we were playing, wait until they left, and then resume play. Parents today are micromanaging and "helicoptering". They are around all the time, stepping in, negotiating, solving. They are not letting kids figure out problems by themselves and not letting them fail. Humans need some weathering so that when these kids reach adulthood, they are equipped with the tools and resilience to manage the many challenges and complications life will inevitably bring. Lythcott-Haims' book is filled with so many more great insights for parents of all school aged kids. Parts 1 & 2 of the book speak more to high school kids and the broken college admissions process and parts 3 & 4 give implementable tactics on not over parenting kids of any age. I am so thankful CSG brought Lythcott-Haims to speak to our community and parents – I highly recommend you give her book a read! The Alumnae Board is so excited to be taking our motto "Connecting. Supporting. Giving." from paper to our community. We are working hard to feature events that will interest as many Unicorns as possible, from fitness classes to doggie play dates. 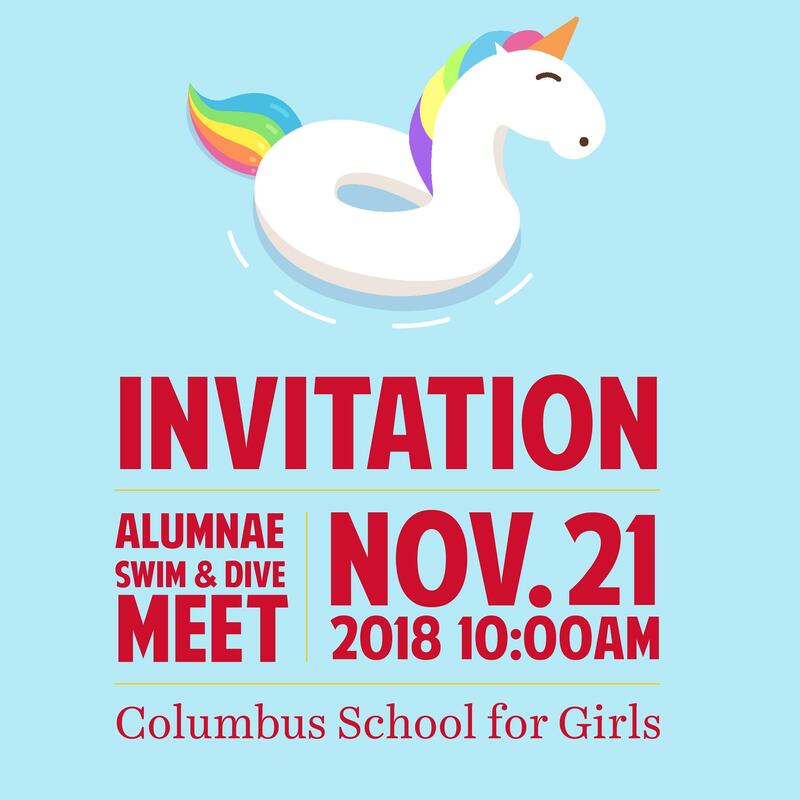 Board members will be at the Thanksgiving Program and the Alumnae Swim and Diving Meet this week, and we hope to see some of you there. If there is something that you would like to see us do, please let us know! Mark your calendars and come join the fun! This year we are celebrating the classes ending in 4s and 9s. 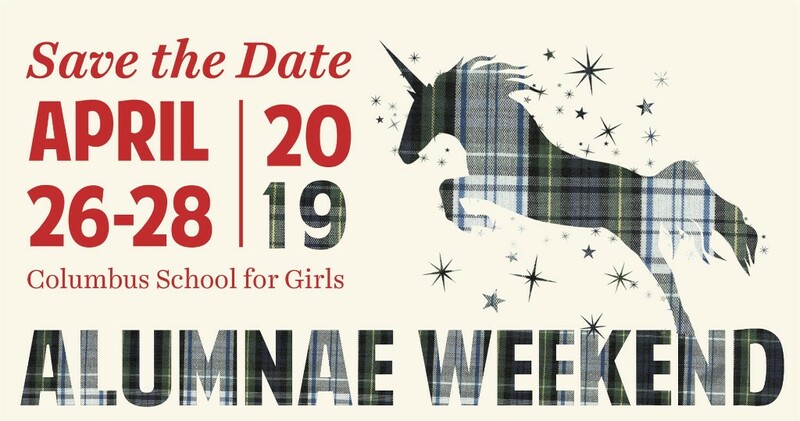 However, all alumnae – regardless of class year – are encouraged to attend. It will be an unforgettable weekend spent reminiscing old memories while making new ones!